by Julia Busch — For fuller, longer, stronger and more beautiful hair, blunt cut it on the dates listed below, according to hair expert Anthony Morrocco. This is when your hair’s energy, roots and follicles are highest. 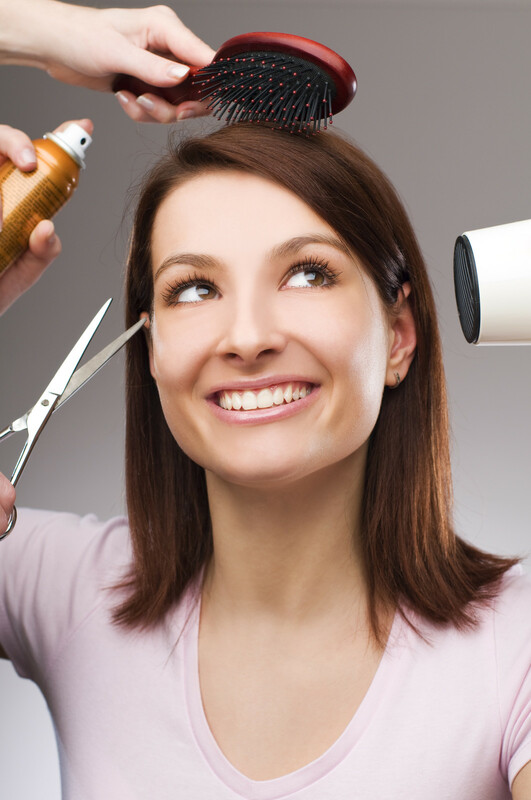 Cutting on other days can actually abort hair growth or slow it down considerably. Morrocco’s unique holistic method integrates modern science with ancient Ayurvedic and Chinese healing arts. The human body is composed of more than 80 percent water, he explains. Like tidal ebbs and flows, its growth cycle is influenced by the moon’s gravitational pull. For centuries, humans have followed the moon’s cycles to determine when to plant and harvest crops. 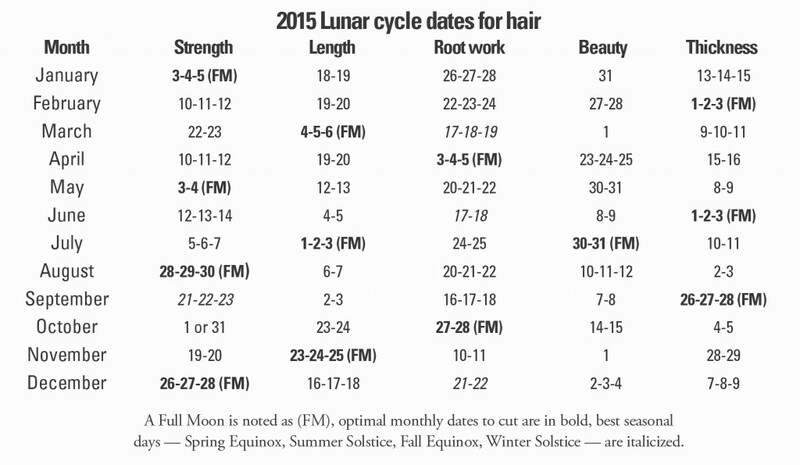 Planting during a particular lunar cycle can determine how much the crop will yield. This same practice can be applied to your hair. Delineating peak energy days, bold numbers indicate optimal monthly dates. Best seasonal days — Spring Equinox, Summer Solstice, Fall Equinox and Winter Solstice — are italicized. FM indicates a full moon. Most beneficial hair cutting days are: March 17-18-19 (Spring Equinox), June 17-18 (Summer Solstice), September 21-22-23 (Fall Equinox) and December 21-22 (Winter Solstice). Please note that dates are based on Pacific Standard Time, Northern Hemisphere. If you live outside of this time zone, recalculate the dates for your time zone and hemisphere. Days listed are 24 hours, so midday is the most beneficial time. Julia Busch is president of Anti-Aging Press, Inc., editor of the So Young™ anti-aging holistic newsletter and author of 10 books. antiagingpress.org, antiagingpressinc.com or juliabusch@att.net. Reprinted from AzNetNews, Volume 34, Number 1, February/March 2015.